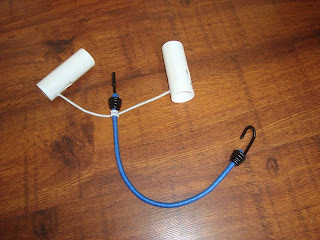 I believe I’ve come up with a viable solution for stowing ‘Sandpiper’s’ anchor so that it will least interfere with the working of the boat, and yet be handy for deployment. Very conveniently the flukes fit either side of the foredeck cleat. At the same time the shank rests on top of the cleat. In that position the chain can be wrapped around the anchor with the warp attached to it. 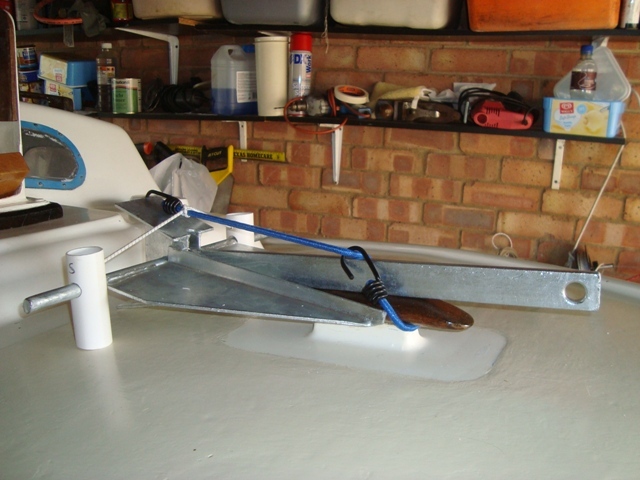 The warp will run along the starboard side deck into the cockpit where it will be neatly retained by a cord hooked over a cleat. 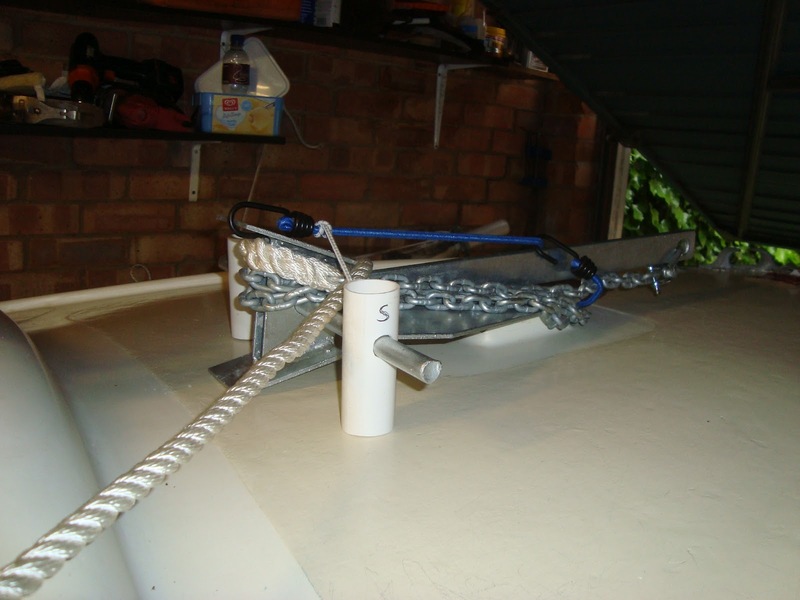 When not in use, the anchor will be secured by a double bungee attached to plastic supports. To deploy the anchor I shall unhook the cord; then I shall walk along the side deck before unclipping the bungee and supports. From there I shall set the anchor. When I’m back in the cockpit I shall adjust the amount of warp required and make it fast to a large cleat. 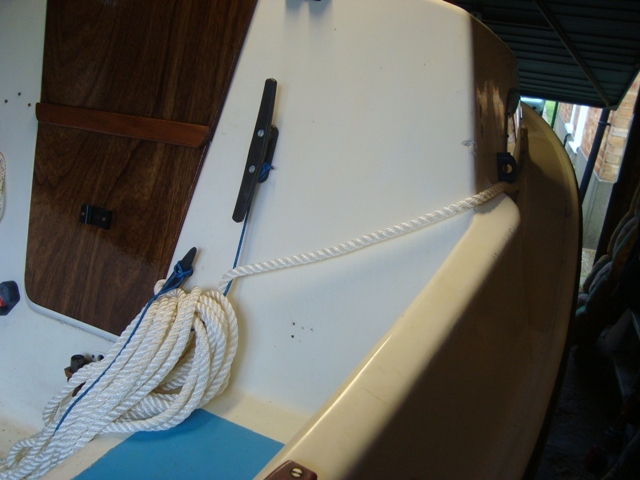 The double bungee when not in use will be clipped to the foredeck cleat. To retrieve the anchor, I shall reverse the procedure. Very little mud or weed should find its way into the cockpit. Yes Tony, she's almost ready for the water. Incidentally,many, many thanks for your superb website with so much useful information for those who love the East Coast Rivers and associated creeks.